Small companies across the country are amongst the business associates and subcontractors who are most likely those who will be attempting to clear some of the biggest hurdles with HIPAA compliance. New compliance requirements are putting the squeeze on small businesses who deal with health care clinics and other medical institutions. New rules state that any organization working with Covered Entity and stores or maintains data becomes a business associate (BA) by default. For the health care organization this means any company, service provider or consultant that your organization engages with and has access to your patient records and any other data must also meet the guidelines found in most recent changes with HIPAA. Health care organizations must comply with the sweeping changes found in the most recent HIPAA rules. Recently, organizations in Idaho, California and Indiana were found to be in violation of HIPAA compliance rules when laptops used to access medical records and medical systems were breached. The new HIPAA rules are some of the biggest hurdles facing health care organizations across the country. Doctors and medical administrators must ensure that everyone who potentially has access to any data are in compliance with these latest HIPAA rules or they run the risk of facing serious penalties for each violation. 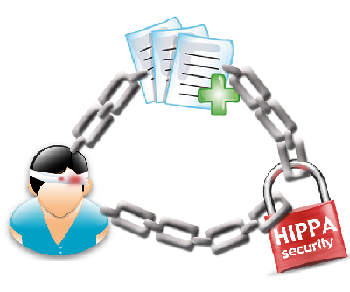 Do you have questions about HIPAA and need a trusted IT consultant who can help you understand HIPAA from the IT side? Our IT professionals are here to help you with your HIPAA compliance, backup, cloud and other IT concerns. Call today to book your complimentary IT review.